“Blow not your broth at Table,” George Washington wrote in an early school exercise on civility. And “bedew no mans face with your Spittle.” Wise man. Other etiquette rules hold up less well over time (“to Pull off the Hat when there is no need is Affectation.”) More recently, Emily Post warned young ladies against unchaperoned boating with young men, lest a sudden fog delay them and her reputation be ruined (sudden fog, as you perhaps know, is prime cover for you-know-what). Warnings about hat-doffing and female chastity, thankfully, are gone from the modern etiquette book. Nonetheless, the tone of these books is often faux-antiquated, imitating the contractionless, precious, very white English of Ms. Post and her gloved ilk. It is grand-damey and transatlantic, with an implicit quelle horreur! lurking at the end of every “don’t.” (Or rather, “do not.”) Authors of such books do not hate, they loathe. People are not rude, but barbarous. Nothing is good unless it is terribly good. 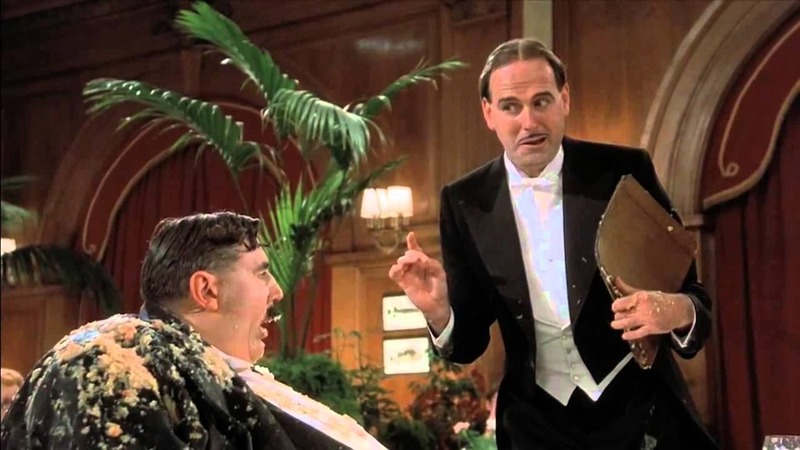 There is a good deal of vague nostalgia for more genteel times, as if our society growing steadily more just and equal does not quite make up for the disappearance of handkerchiefs and place settings. And yet I love them. There’s something oddly charming about the idea that you could communicate your care and respect for other people through deft use of flatware or timely deployment of a handkerchief. That these rules will somehow help you bypass all the hard work of living a life with other people and learning how to treat them well in the course of it. 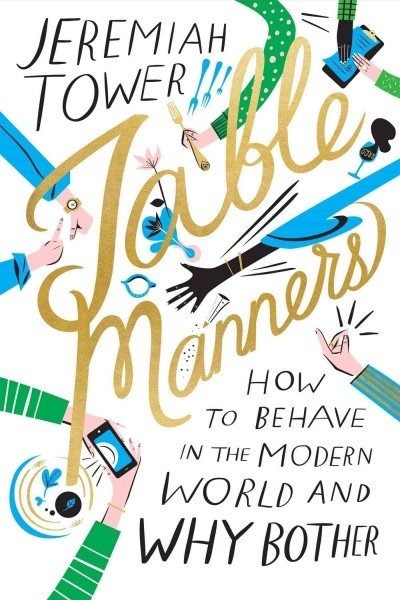 Table manners are tiny, above-ground traces of a larger, submerged system of ethics; they are tools for expressing what is important to us as a culture. Tower’s suggestions for those short on cash include replacing table centerpieces with goldfish in a vase. This implies, if not a direct hostility to the poor, at least that Tower did not do the exercise of imagining eating dinner eye-to-eye with a live fish. At best, etiquette is ethics in a minor key. 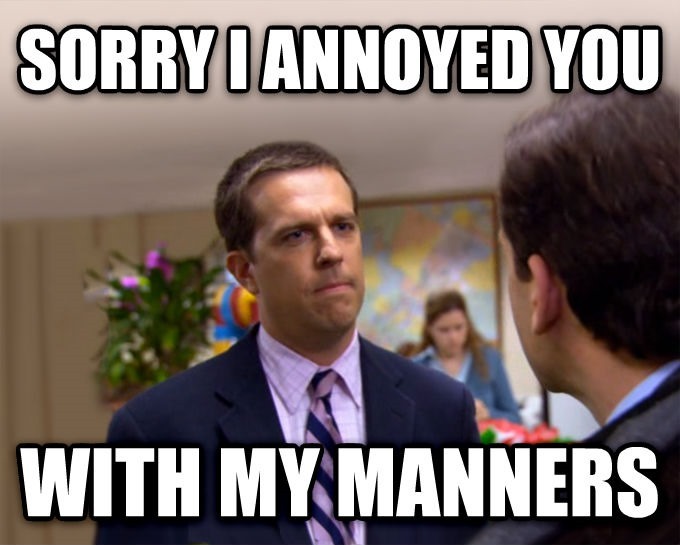 At worst, etiquette is a way to tell everyone you’re rich without having to say it aloud. Jeremiah Tower’s Table Manners is a mix of both. It leans fussy: “The large soup spoons of yesteryear are now considered pretentious.” And prim: He cites “the new me-centered culture” as if people haven’t been making that complaint since Plato. But parts of it seem animated by a real belief that empathy can be taught. “The more you think about those around you and the less you think about yourself,” he writes, “the more likely you are to behave well.” Yet, there’s often an implicit utilitarianism in this guide — behave well and you will be invited to dinner. Towers is a well-known chef, which makes his restaurant precepts specific and insightful (his advice for treating servers well is valuable, for instance) — but he’s less thoughtful about other aspects of etiquette. He doesn’t have the same open hostility towards the poor that many authors of such books have (Emily Post at one point suggested you pretend not to see beggars on the street, for example). But there is a kind of effective hostility through incomprehension. Tower’s suggestions for those short on cash include replacing table centerpieces with goldfish in a vase. This implies, if not a direct hostility to the poor, at least that Tower did not do the exercise of imagining eating dinner eye-to-eye with a live fish — or the effort of procuring one and caring for it afterwards. “Even if fragrant old roses are your pride and joy from the garden,” he writes at one point, “you don’t want them competing with your $125 bottles of pinot noir.” People who actually drink $125 bottles of pinot noir just call it “pinot noir,” so it’s not clear why Towers would make himself sound unnecessarily snooty with the price tag, but it’s one of the several details that makes Table Manners not particularly inclusive. So, how useful is this book? It depends. Do you really need someone to tell you not to shout “I LOATHE GARLIC” (here we go again with “loathe”) when someone serves it to you? Of course not — or, if you do, you are not likely to be reading an etiquette guide. But perhaps it is human nature that I would find all the rules I already heed obvious and all the ones I don’t silly. Otherwise I would have to face the fact that my soup spoons are unacceptably, gauchely, preposterously, strivingly large and deal with the accompanying shame. 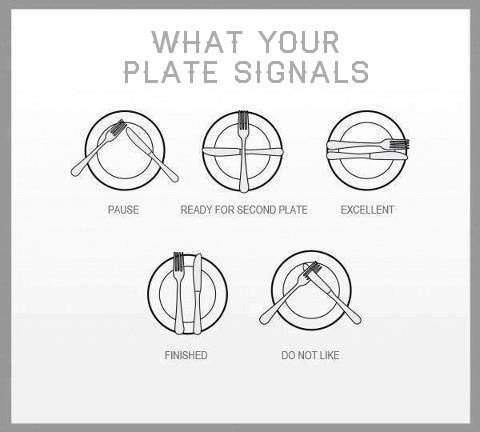 “No rule of etiquette is of less importance than which fork we use,” says our guiding light, Emily Post. I assume the same holds for spoons. But care for each other, expressed indirectly through small acts? That’s etiquette.